Could Star Trek fans ever see Patrick Stewart take on Jean-Luc Picard again? Never say never. At least, according to the actor. 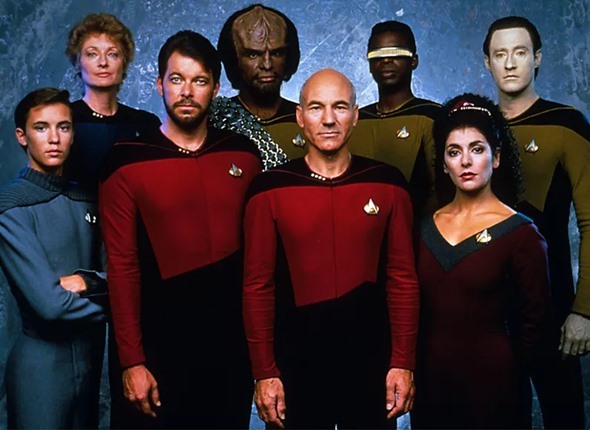 Do you want to see more Star Trek: The Next Generation? Tell us what you think. One could hope…..would love that, “Make it so!”, but as Mr. Stewart said, not likely. And, we’d be missing terribly a few past actors…..
Count me in. If writers and talent are up to it, and polling indicates sufficient interest, please proceed! I suggest polling because ever since our politics became divisive it seems viewing audience has done the same. Thanks Patrick. It is over for TOS, Next Gen, Voyager and DS9. Sorry too much time has passed now. Is it possible to bring some of the cast back? Yes under special circumstances. Sisko of course, he has been with the prophets. Odo? Yes I think so as well.